A month after sending Malaga survey results to affiliates (or selected folks), WMA shared a censored version. 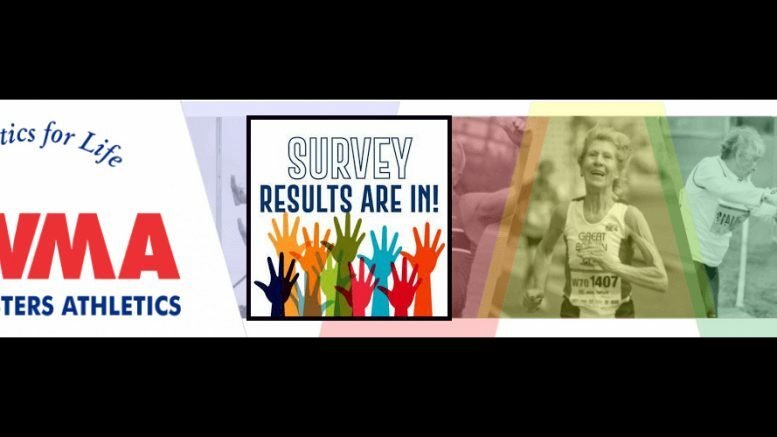 Nearly a month ago, I posted results of a WMA survey taken after Malaga worlds. (I got it from Masters Mole 3443b.) In my summary, I estimated that 115 people took part, which I called an “atrocious” 1.4 percent participation rate. But WMA revealed Tuesday that “over 500” answered the survey. So it’s only a pathetic 6.2 percent response rate. My apologies. Anyway: WMA cherrypicks — and bats away — two complaints: locations and Internet access. 11. Separating events in the same discipline, over different days/venues made supporting fellow athletes difficult, if not impossible. Presenting medals for events at the main stadium, requiring athletes to leave the venues at which their fellow athletes were still competing, in order to make a lengthy journey to attend the ceremony, was most inconvenient and unsettling. Please can medal presentations be made at the same venue as the competitions, and competitions in similar events be allocated to the same venue and sequential times so we can all watch and support each other. Catering at the main stadium was inadequate. 12. Must look at timetabling of event Heat, SF Final. In Middle Distance less than 17 hrs between. How are athletes supposed to prepare properly for a World Final in such circumstances. 13. Would like to have seen the main stadium fully utilised. There were days when no racing at the main stadium – but races at others. The main stadium should have been main focus and very busy – it felt like the schedule could have been condensed into 3 venues. 14. Facilities for throwing were not up to acceptable standards, especially at the Torremolinos venue. Implements provides were old and sometimes illegal (frayed grips on javelins). 15. Throwing circles were poor, especially at Torremolinos, where the weight circle was an indoor one, needing different shoes. No water available, the competition took a ridiculous 5.5 hours, the weights were terrible, jury rigged with galvanised wire. When spectating, hard concrete steps, little shade, and nothing to see from lunch time to 4pm. 16. No proper implement to train with, no accommodation for practice before event. No good enough javelin for proper distance. Just a 55m only. A bent javelin in competition for throws. Each athlete waiting to throw the one good one. Whoever assembled and distributed the original survey summary trusted the affiliates with the nitty gritty gripes. But now that WMA has posted its version of the survey — redacting the tougher critiques — I have to wonder: Why? Feel free to speculate. I won’t delete your responses. Be the first to comment on "Why is WMA hiding responses to Malaga survey? Page of critical comments left out"